Welshpool & Llanfair Railway 0-6-0T 2 The Countess passes Dolarddyn with the final Welshpool to Llanfair train of the day on 2 August 1987. She is one of the original locomotives built for the line in 1903 by Beyer Peacock. The other loco built at the same time is 1 The Earl. 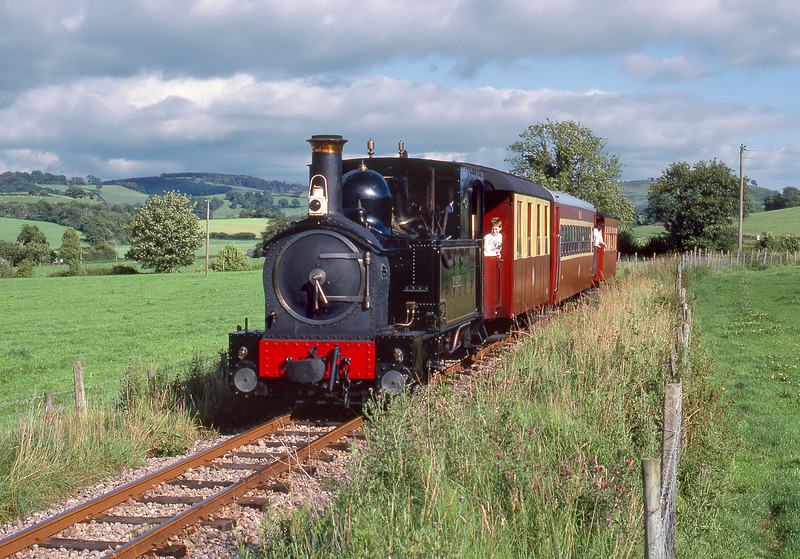 Unlike many Welsh narrow gauge railways built to exploit the slate industry, this line was built to serve a purely agricultural area, and not surprisingly never made a profit.